Napoleon Bonaparte was the emperor of France (Napoleon I) from 1804 to 1815. He had a great impact on the world, but more importantly on France. He was born in 1769 in Corsica and passed away in 1821 on the island of Saint-Helena. Here are the most notable places related to Napoleon in Paris. This post brings you the most important Napoleon sites in Paris, with a short description of the site and our best tips. However, if you want to know more about historic Paris, and more specifically about Napoleon history, we recommend booking in-depth Napoleon tours with a knowledgeable guide (most of the times experts in History) to get the most out of Napoleon in Paris. 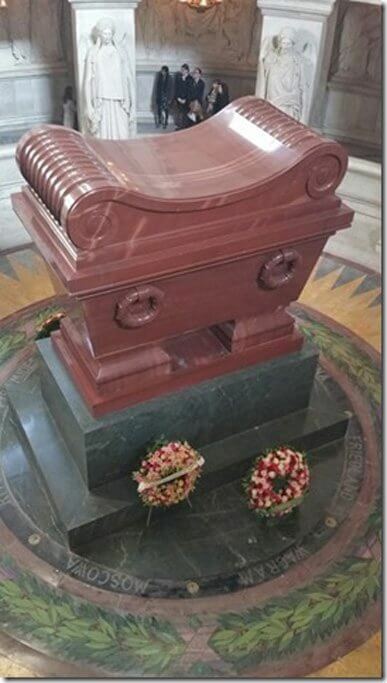 Wondering where is Napoleon buried? Les Invalides is one of the top monuments in Paris. This monument located in the 7th Arrondissement of Paris contains museums all related to the military history of France. The part that is a church, the Church of Saint-Louis des Invalides, is the burial site of Napoleon Bonaparte (the tomb of Napoleon) who lays in a seven-layer coffin placed under the dome of the church. Napoleon I was brought here from St-Helen in 1840, 19 years after his death. Les Invalides hosts a mass at the tomb of Napoleon every year on May 5th to commemorate his death. OUR TIP: the original tombstone which was on Napoleon grave was repatriated from the island of St. Helena in 1840, at the same time as the body, by the ship La Belle Poule. Napoleon’s tombstone is found outside the Church of Saint-Louis des Invalides, in the garden hidden by bushes. The garden cannot be visited by the public but you can see the tombstone from the windows from the Nîmes corridor or from the staircase leading to the Army Museum (GPS 48.855669; 2.312328). Napoleon commissioned the famous triumphal arc in 1806 to celebrate his victory at Austerlitz and to memorialize the heroes of the war. Le Arc de Triomphe is located in Paris 8 and you can climb all the way up to the top and enjoy the view! The Louvre Museum is one of the most famous museums in the world. Le Louvre not only holds the painting of Mona Lisa, but also the 6×10 meter painting by Jacques-Louis David of Napoleon’s coronation ceremony. It is really impressive! 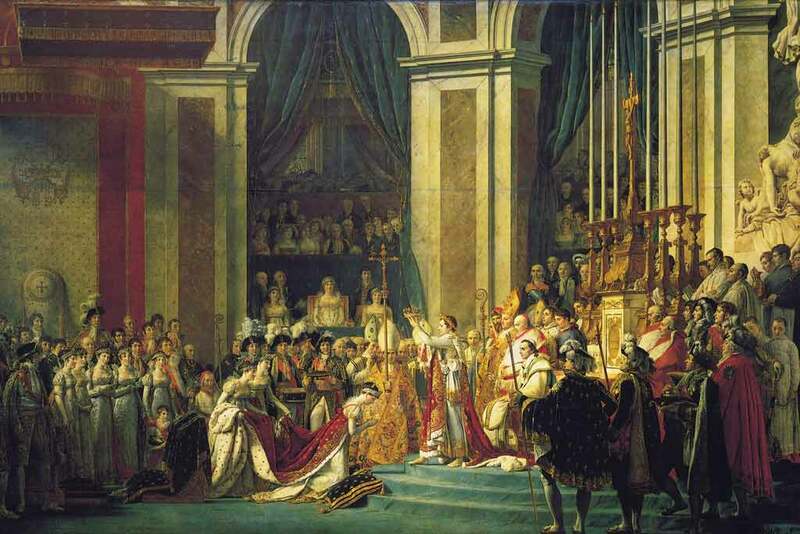 Napoleon’s coronation ceremony actually took place in Notre-Dame de Paris, in the 4th Arrondissement of Paris, on December 2nd, 1804. OUR TIP: read how to get the most out of the Louvre in only 2 hours! 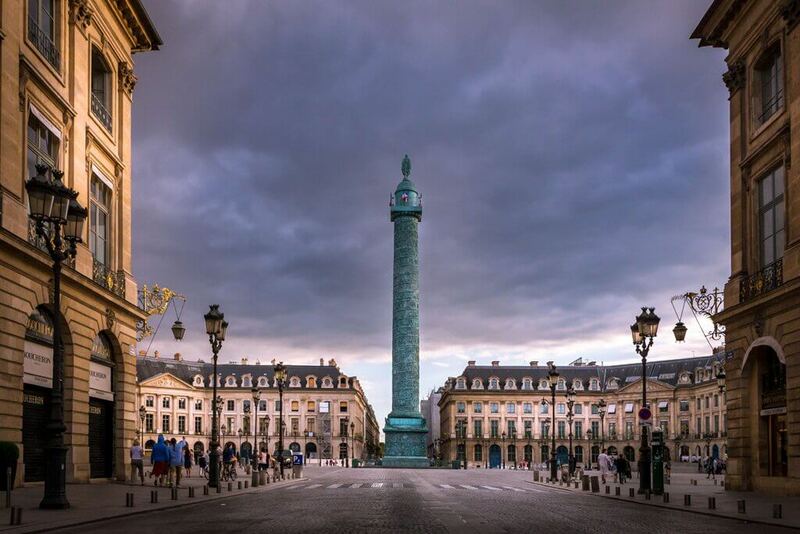 At Place Vendôme, in the 1st Arrondissement of Paris, you can see the column of the same name – Colonne Vendôme- which was commissioned by Napoleon in honor of his victory at Austerlitz in 1805. The column is of bronze and many scenes of the battle are sculpted around it. On the top, there is a Napoleon statue represented as Caesar. This “château” was bought by Josephine, Napoleon’s wife, in 1799 to be the main residence of Josephine and Napoleon. Napoleon frequently went there until their divorce in 1809. Château de Malmaison is a beautiful short trip from Paris. 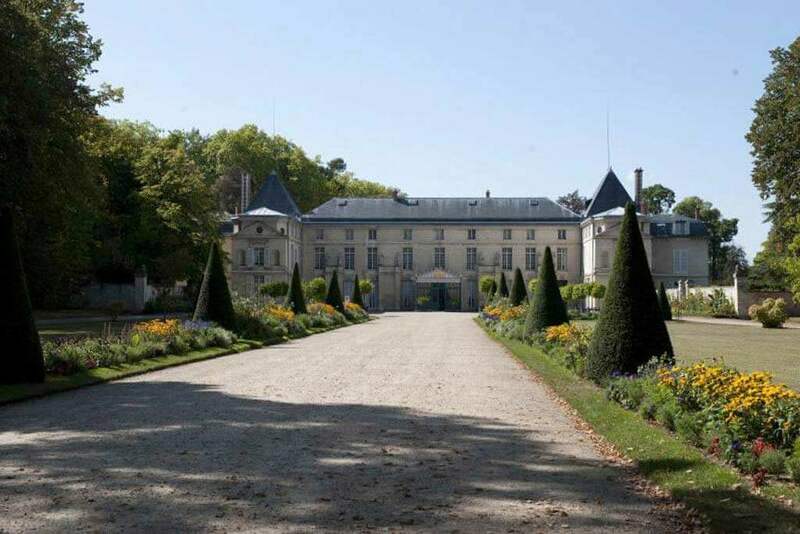 Château de Malmaison is located 16 km east of Paris and it is very easy to reach by public transportation. You can see all the transportation options here. OUR TIP: the entrance to Château de Malmaison is included in the Paris Museum Pass. 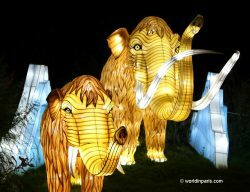 You can check our Paris Museum Pass review here. This restaurant located in the 6th arrondissement of Paris, which dates from 1686, was a common meeting place for Napoleon and some intellectuals of his time like Voltaire. Bonaparte once left his hat at the restaurant, which you can still see in the window without having to enter the building. Americans visiting Paris will be interested to know that Benjamin Franklin wrote a good part of the American Constitution at Le Procope. Construction of the canal was ordered by Napoleon I in 1802 when he was First Consul. It is said that Napoleon asked Gaspard de Chabrol, prefect of the city of Paris: “what can I do for the Parisians?”. And Chabrol answered: “bring them water!”. Canal Saint-Martin’s construction took place until 1825, funded by a new tax on wine. It was fed by the river Ourcq, 100 km northeast of Paris. Until that moment, Parisians only had access to a small supply of drinking water from the Bièvre River and Seine River, which was often very polluted. This new source of fresh water and its fountains helped to avoid diseases such as dysentery and cholera. The canal was also used to transport different goods on big boats. 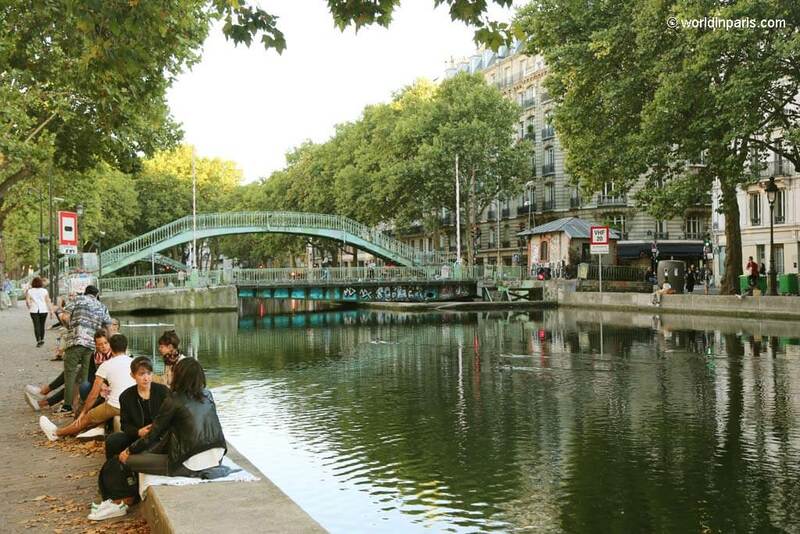 Today, Canal Saint-Martin, which crosses the 10th and 11th Paris districts, is a beautiful area to have a stroll in Paris. Definitely not our favorite church in Paris (hence the lack of pictures) plus it seems to be eternally under restoration. L’Église de la Madeleine, found on Concorde Square in Paris 8, was commissioned by Napoleon as a temple dedicated to his military services. However, the construction was finished long after his rule and it was decided to turn it into a church. Just in front of La Madelaine, but on the other side of the River Seine, there is the building of the National Assembly. Napoleon ordered to cover the back of the National Assembly, which is the side facing La Madeleine, by a similar colonnade so today these two buildings look like twin sisters. Where did Napoleon live in Paris? Apart from the above mentioned Château de Malmaison, there are other Napoleon residences in Paris, where the soldier, the First Consul, or Napoleon the Emperor of France spent part of his life. École Militaire was an academic college for cadet officers from poor noble families. It was founded by King Louis XV, after the War of the Austrian Succession. Napoleon Bonaparte entered the École Militaire in 1784 when he was 15 years old, and he graduated from this school in only one year instead of two. The Ecole Militaire, located southeast of the Champ de Mars. is open to visitors only during the European Heritage Days, on the 3rd week in September (free entrance). Tuileries Palace, located on the right bank of the River Seine, was the usual Parisian residence of most French kings, from Henry IV to Napoleon III, until it was burned by the Paris Commune in 1871. It was linked to the Louvre Palace through the magnificent Tuileries Gardens. Napoleon turned the Tuileries into the official residence of the First Consul and later when he became emperor, the imperial palace. Tuileries Palace was redecorated in Neoclassical Empire style by the best architects of that time. Today, visitors wandering around Tuileries Gardens can still see a few remains of the palace destroyed by the fire. There are also some remains in the back garden of Musée Carnevalet. Compiègne was home of the French Kings since King Clovis, in the V century! The current château was built for King Louis XV and it was one of the three royal seats of government, together with Château de Versailles and Château de Fontainebleau. Napoleon ordered a deep restoration of Château de Compiègne to make it inhabitable again and it is here where he first met Marie-Louise of Austria, his future empress, on 27 March 1810. The Château is today a beautiful example of First Empire Style and it hosts three museums: the Château itself, the Museum of the Second Empire and the Cars’ National Museum. Château de Compiègne is located 80 km north-east of Paris and it is very easy to reach by train (direct train leaving from Paris Gare du Nord). You can see all the transportation options here. Napoleon chose Fontainebleau for his historic meeting with Pope Pius VII in 1804, who had traveled from Rome to crown Napoleon Emperor. Today, visitors of Fontainebleau still can see the suite of rooms decorated for the Pope. Napoleon spent the last days of his reign at Fontainebleau, before abdicating there on 4 April 1814. 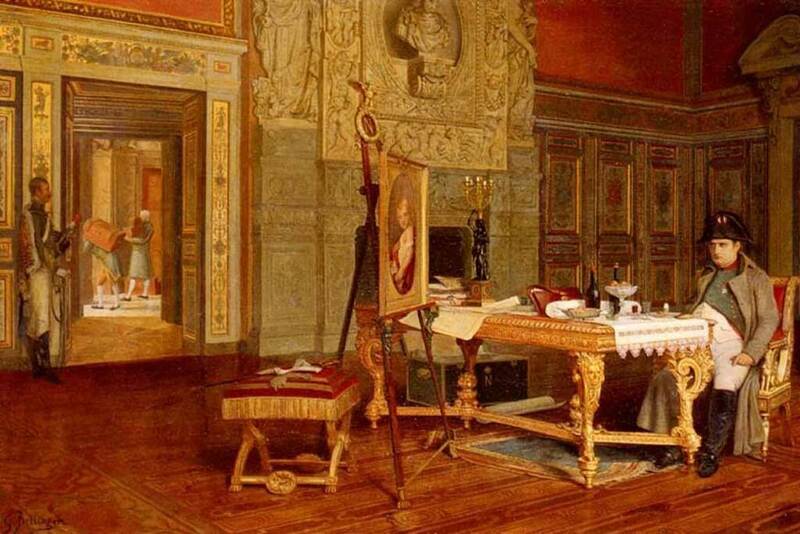 Visitors of Fontainebleau still can see the table and chairs where Napoleon signed his abdication, before his exile to Elba. On 20 April, Napoleon gave an emotional farewell to the soldiers of the Old Guard, who had served with him since his very first campaigns, assembled in the Courtyard of Honor. Since that moment the Courtyard of Honor is also known as the Courtyard of Goodbyes. Later, on his way to exile, Napoleon stopped in Fontainebleau on 20 March 1815. Fontainebleau is a very nice day trip from Paris. Château de Fontainebleau can be reached by train from Gare de Lyon + bus. If you are short of time but you don’t want to miss one of the most important Napoleon residences, we recommend booking a this Fontainebleau half day guided tour with transportation included. Château de Rambouillet is a royal hunting palace since King Louis XVI when he bought it from his cousin. Napoleon ordered a deep restoration of Château de Rambouillet, ideal for hunting with dogs and made of it one of his residences. The Emperor spent one last night at Rambouillet, from 29 to 30 June 1815, on his way to exile. Château de Rambouillet is located 53 km south-west of Paris and it is very easy to reach by train (direct train leaving from Paris Gare de Montparnasse). You can see all the transportation options here. » The Genius of France in the guise of Napoleon. This sculptural set is located in the Louvre Museum, at Cour Carrée. It decorates the fronton of the north wing. » Goddess Minerva surrounded by the muses of Victory crowns the bust of Napoleon. This sculptural set is located in the Louvre Museum, it decorates the fronton of Pavillon Marsan. » Napoleon Triumphant. This statue is found inside the Louvre Museum, at Cour Puget. » Napoleon as Cesar. This is the statue on the top of the Vendôme Column, at Place Vendôme. » Napoleon I dominating History and the Arts. This sculptural set is located in the Louvre Museum, it decorates the fronton of Pavillon Sully. » Renowned crowning the bust of Napoleon. This sculpture is located in Louvre Museum, at Cour Carrée, south wing. » Napoleon I. Statue located at the Courtyard of Honor of Les Invalides. 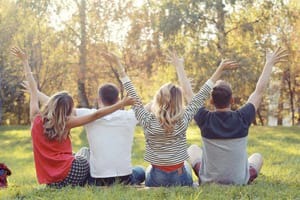 Hotels can be so much more than a simple place to rest your head. 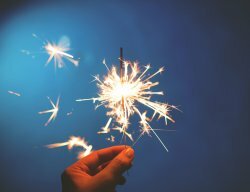 For some travelers, the right hotel is part of what makes the travel experience an interesting one. Napoleon fans will be happy to know that there are a couple of Napoleon-themed hotels in Paris that certainly know how to give their guests a memorable stay in a “First Empire” atmosphere. Located in Paris 8, at a stone’s throw from the Champs-Elysées and the Arc de Triomphe, Hotel Napoleon Paris is a romantic and luxury hotel inspired in Emperor Napoleon history. The spacious and beautiful rooms are decorated in an elegant Empire style with some modern touches very Parisian. Couples will love the suites with terrace, with awesome views over the Eiffel Tower or Arc de Triomphe. Rare in Paris, the large connecting rooms are ideal for families. If you are following Napoleon’s footsteps, you cannot go wrong with a hotel dedicated to the “Emperor”. Hotel de l’Empereur, is located in Paris 7, not far from the Eiffel Tower, and it features awesome views of Les Invalides and its imposing golden dome. All the hotel is decorated in an elegant and inviting Empire style, with beautiful fabrics and furniture. The rooms are spacious and with large and well-lit bathrooms. Most of the rooms come with a view of the dome. Located in the historic Paris Le Marais and hidden behind a flamboyant courtyard, Hotel de Joséphine de Bonaparte is the intimate and delightful escape after a long journey, a day of strolling, and following Napoleon’s footsteps. The hotel’s design is inspired by Joséphine de Bonaparte and the Directoire style right down to the detailing of all the carpentry. Rooms are individually decorated, each with its own character and they all have interesting fabrics, wallpapers, and unique carpets. The hotel proposes connecting rooms to create your own private apartment. Hanna is our youngest collaborator and also a Napoleon I expert. If you have any question related to Napoleon I, Hanna is the right person to ask !